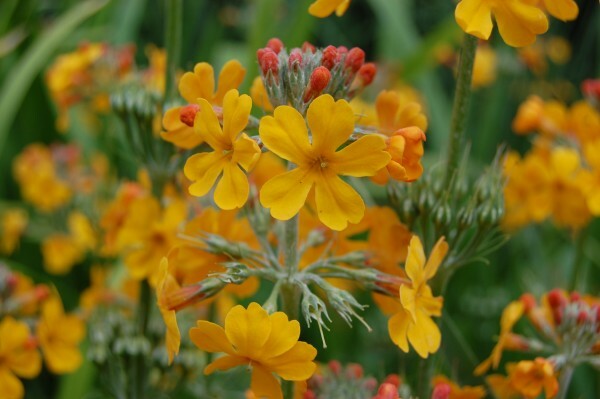 Robust upright perennial primrose with orange-yellow upright flowers. Can be sown at any time onto a loam-based compost, barely cover so that around 50% are still visible.Germination temperatures are between 10 - 15 degrees. Temperatures exceeding 15C can prevent germination. Germination takes between 3 to 6 weeks, sometimes taking much longer. Cultivation methods: They prefer fertile, well-drained soils, which grow in partial-shade with ample water. 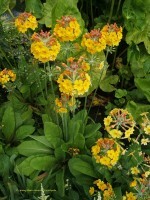 You can propagate from seed in the spring, early summer or autumn, or by division or from root cuttings.